Chapter 131E - Health Care Facilities and Services. § 131E-2. Contested case hearing petition time limit. § 131E-3. Coordination of rules on pathological materials. § 131E-4. Reserved for future codification purposes. Article 2 - Public Hospitals. § 131E-5. Title and purpose. § 131E-7.1. Public hospitals' managed care development authorized. § 131E-8. Sale of hospital facilities to nonprofit corporations. § 131E-8.1. Maintenance of Health Education Facilities. § 131E-9. Governing authority of hospital facilities. § 131E-11. Federal and State aid. § 131E-13. Lease or sale of hospital facilities to or from for-profit or nonprofit corporations or other business entities by municipalities and hospital authorities. § 131E-14. Lease or sale of hospital facilities to certain nonprofit corporations. § 131E-14.2. Conflict of interest. § 131E-15. Title and purpose. § 131E-17. Creation of a hospital authority. § 131E-19. Incorporation of a hospital authority. § 131E-20. Boundaries of the authority. § 131E-21. Conflict of interest. § 131E-22. Removal of commissioners. § 131E-23. Powers of the authority. § 131E-25. Zoning and building laws. § 131E-26. Revenue bonds and notes. § 131E-27. Contracts with federal government. § 131E-28: Repealed by Session Laws 2016-5, s. 5.3(a), effective May 11, 2016. § 131E-29. Audits and recommendations. § 131E-31. Transfers of property by a city or county to a hospital authority. § 131E-32. Purchase money security interests. § 131E-34: Repealed by Session Laws 2011-326, s. 17, effective June 27, 2011. §§ 131E-35 through 131E-39. Reserved for future codification purposes. § 131E-40. Title and purpose. § 131E-41. Methods of creation of a hospital district. § 131E-42. Hearing and determination. § 131E-43. Limitation of actions. § 131E-46. Referendum on repeal of tax levy. Article 2A - Garnishment for Debts Owed Public Hospitals. §§ 131E-48 through 131E-51: Repealed by Session Laws 2013-382, s. 13.2, effective October 1, 2013, and applicable to hospital and ambulatory surgical facility billings and collections practices occurring on or after that date. § 131E-52: Reserved for future codification purposes. § 131E-53: Reserved for future codification purposes. § 131E-54: Reserved for future codification purposes. Article 3 - North Carolina Specialty Hospitals. §§ 131E-55 through 131E-58: Repealed by Session Laws 1987, c. 856, s. 13. § 131E-59: Reserved for future codification purposes. § 131E-60: Reserved for future codification purposes. § 131E-61: Reserved for future codification purposes. § 131E-62: Reserved for future codification purposes. § 131E-63: Reserved for future codification purposes. § 131E-64: Reserved for future codification purposes. § 131E-65. Alcohol Detoxification Program. § 131E-66: Repealed by Session Laws 1985, c. 589, s. 40. § 131E-68. Reserved for future codification purposes. § 131E-69. Reserved for future codification purposes. Article 4 - Construction and Enlargement of Hospitals. § 131E-70. Construction and enlargement of local hospitals. §§ 131E-71 through 131E-74. Reserved for future codification purposes. Article 5 - Hospital Licensure Act. § 131E-78. Adverse action on a license. § 131E-78.1: Reserved for future codification purposes. § 131E-78.2: Reserved for future codification purposes. § 131E-78.3: Reserved for future codification purposes. § 131E-78.4: Reserved for future codification purposes. § 131E-78.5. Designation as primary stroke center. § 131E-79. Rules and enforcement. § 131E-79.1. Counseling patients regarding prescriptions. § 131E-79.2. Educating parents of newborns regarding pertussis disease. § 131E-83. Temporary change of hospital bed capacity. § 131E-84. Waiver of rules for hospitals that provide temporary shelter or temporary services during a disaster or emergency. § 131E-84.1. Human trafficking public awareness sign. § 131E-87. Reports of disciplinary action; immunity from liability. § 131E-88. Reserved for future codification purposes. § 131E-89. Reserved for future codification purposes. § 131E-90. Authority of administrator; refusal to leave after discharge. § 131E-91. Fair billing and collections practices for hospitals and ambulatory surgical facilities. § 131E-92. Reserved for future codification purposes. § 131E-93. Reserved for future codification purposes. § 131E-94. Reserved for future codification purposes. § 131E-95. Medical review committee. § 131E-96. Risk management programs. § 131E-97. Confidentiality of patient information. § 131E-97.1. Confidentiality of personnel information. § 131E-97.2. Confidentiality of credentialing information. § 131E-97.3. Confidentiality of competitive health care information. § 131E-98. Inmate medical records. § 131E-99. Confidentiality of health care contracts. Article 6 - Health Care Facility Licensure Act. § 131E-103. Adverse action on a license. § 131E-104. Rules and enforcement. § 131E-106. Evaluation of residents in adult care homes. § 131E-107. Quality assurance, medical, or peer review committees. § 131E-111: Recodified as § 131E-255 by Session Laws 1995 (Reg. Sess., 1996), c. 713, s. 3(a), as amended by Session Laws 1995 (Reg. Sess., 1996), c. 713, s. 3(b). § 131E-112. Waiver of rules for health care facilities that provide temporary shelter or temporary services during a disaster or emergency. § 131E-113. Immunization of employees and residents. § 131E-114. Special care units; disclosure of information required. § 131E-114.1. Posting of information indicating number of staff on duty. § 131E-114.2. Use of medication aides to perform technical aspects of medication administration. § 131E-114.3. Smoking prohibited inside long-term care facilities; penalty. § 131E-114.4. Examination and screening for the presence of controlled substances required for applicants for employment in nursing homes. § 131E-117. Declaration of patient's rights. § 131E-118. Transfer of management responsibilities. § 131E-119. No waiver of rights. § 131E-120. Notice to patient. § 131E-121. Responsibility of administrator. § 131E-124. Enforcement and investigation; confidentiality. § 131E-125. Revocation of a license. § 131E-126: Repealed by Session Laws 1987, c. 600, s. 1. § 131E-127. No interference with practice of medicine or physician-patient relationship. § 131E-128. Nursing home advisory committees. § 131E-128.1. Nursing home medication management advisory committee. § 131E-128.2. Nursing home quality assurance committee; duties related to medication error prevention. § 131E-128.3. Staff orientation on medication error prevention. § 131E-128.4. Nursing home pharmacy reports; duties of consultant pharmacist. § 131E-128.5: Repealed by Session Laws 2013-360, s. 12G.2(c), effective July 1, 2013. § 131E-130. First available bed priority for certain nursing home patients. § 131E-131. Rule-making authority; enforcement. § 131E-132. Reserved for future codification purposes. § 131E-133. Reserved for future codification purposes. § 131E-134. Reserved for future codification purposes. § 131E-137. Services to be provided in all counties. § 131E-138.1. Licensure fees for nursing beds and adult care home beds in continuing care retirement communities. § 131E-139. Adverse action on a license. § 131E-140. Rules and enforcement. § 131E-141.1. Penalties for violation. § 131E-143. Smoking prohibited; penalty. § 131E-144. Reserved for future codification purposes. § 131E-144.3. Declaration of home care clients' rights. § 131E-144.4. Notice to client. § 131E-144.6. Enforcement and investigation. § 131E-147.1. Fair billing and collections practices for ambulatory surgical facilities. § 131E-148. Adverse action on a license. § 131E-149. Rules and enforcement. § 131E-153. Reserved for future codification purposes. § 131E-154. Reserved for future codification purposes. § 131E-154.4. Rules and enforcement. § 131E-154.6. Adverse action on a license; appeal procedures. § 131E-154.9. Reserved for future codification purposes. § 131E-154.10. Reserved for future codification purposes. § 131E-154.11. Reserved for future codification purposes. § 131E-154.14. NC NOVA program established. Article 7 - Regulation of Emergency Medical Services. § 131E-155.1. EMS Provider License required. § 131E-156. Permit required to operate ambulance. § 131E-157. Standards for equipment; inspection of equipment and supplies required for ambulances. § 131E-158. Credentialed personnel required. § 131E-161. Violation declared misdemeanor. Article 7A - Statewide Trauma System Act of 1993. § 131E-162. Statewide trauma system. § 131E-163. Reserved for future codification purposes. § 131E-164. Reserved for future codification purposes. Article 8 - Cardiac Rehabilitation Certification Program. § 131E-168. Adverse action on a certificate. § 131E-169. Rules and enforcement. §§ 131E-171 through 131E-174. Reserved for future codification purposes. Article 9 - Certificate of Need. § 131E-175. Findings of fact. § 131E-177. Department of Health and Human Services is designated State Health Planning and Development Agency; powers and duties. § 131E-178. Activities requiring certificate of need. § 131E-180: Repealed by Session Laws 2005-325, s. 2, effective August 26, 2005. § 131E-181. Nature of certificate of need. § 131E-184. Exemptions from review. § 131E-187. Issuance of a certificate of need. § 131E-188. Administrative and judicial review. § 131E-189. Withdrawal of a certificate of need. § 131E-190. Enforcement and sanctions. § 131E-191. Repealed by Session Laws 1987, c. 511, s. 1. § 131E-191.1. Lobbyists prohibited from serving on the North Carolina State Health Coordinating Council. § 131E-192. Reserved for future codification purposes. Article 9A - Certificate of Public Advantage. §§ 131E-192.1 through 131E-192.13: Repealed by Session Laws 2015-288, s. 4, as amended by Session Laws 2016-94, s. 12G.4(a), effective September 30, 2016. §§ 131E-193 through 131E-199. Reserved for future codification purposes. Article 10 - Hospice Licensure Act. § 131E-205. Adverse action on a license; appeal procedures. § 131E-208. Reserved for future codification purposes. § 131E-209. Reserved for future codification purposes.  Article 11 - North Carolina Medical Database Commission. §§ 131E-210 through 131E-213: Repealed by Session Laws 1995, c. 517, s. 39. Article 11A - Medical Care Data. § 131E-214. Title and purpose. § 131E-214.2. Data submission required. § 131E-214.3. Patient data not public records. § 131E-214.4. Statewide data processor. §§ 131E-214.5 through 131E-214.10. Reserved for future codification purposes. Article 11B - Transparency in Health Care Costs. § 131E-214.12. Purpose; Department to publish price information. § 131E-214.13. Disclosure of prices for most frequently reported DRGs, CPTs, and HCPCSs. § 131E-214.14. Disclosure of charity care policy and costs. Article 12 - Disclosure and Contract Requirements for Continuing Care Facilities. §§ 131E-215 through 131E-224: Repealed by Session Laws 1989, c. 758, s. 2. §§ 131E-225 through 131E-229. Reserved for future codification purposes. Article 13 - Temporary Management of Long-Term Care Facilities. § 131E-232. Who may petition; contents of petition. § 131E-233. Procedures for appointment; evidence in defense. § 131E-234. Grounds for appointment of temporary manager. § 131E-235. Alternative to appointment of temporary manager. § 131E-236. Compensation of temporary manager. § 131E-237. Candidates for temporary managers. § 131E-238. Temporary manager; powers and duties. § 131E-239. Plan for correction of deficiencies in excess of one thousand dollars ($1,000). § 131E-240. Payment to temporary manager. § 131E-241. Avoidance of preexisting leases, mortgages, and contracts. § 131E-243. Review and termination of temporary management. § 131E-244. Accounting lien for expenses. § 131E-245. Obligations of licensee. § 131E-246. Conflict of laws. § 131E-247. Reserved for future codification purposes. § 131E-248. Reserved for future codification purposes. § 131E-249. Reserved for future codification purposes. Article 14 - Disposal of Surplus Property to Aid Other Countries. § 131E-250. Disposition of surplus property by public and State hospitals. §§ 131E-251 through 131E-254. Reserved for future codification purposes. Article 15 - Health Care Personnel Registry. § 131E-255. Nurse Aide Registry. § 131E-256. Health Care Personnel Registry. § 131E-256.1. Adverse action on a license; appeal procedures. Article 15A - Public Hospital Personnel Act. § 131E-257. Title; purpose; applicability of other laws; "public hospital" defined. § 131E-257.1. Compensation; personnel policies; employee benefits plans. § 131E-257.2. Privacy of employee personnel records. §§ 131E-258 through 131E-264. Reserved for future codification purposes. Article 16 - Miscellaneous Provisions. § 131E-265. Criminal history record checks required for certain applicants for employment. § 131E-266. Compliance history provider file. § 131E-267. Fees for departmental review of licensed health care facility or Medical Care Commission bond-financed construction projects. § 131E-268. Reserved for future codification purposes. § 131E-269. Authorization to charge fee for certification of facilities suitable to perform abortions. § 131E-270. Medication Aide Registry. § 131E-271: Reserved for future codification purposes. § 131E-272. Initial licensure fees for new facilities. § 131E-273. Certain charges/payments prohibited. § 131E-274: Reserved for future codification purposes. Article 17 - Provider Sponsored Organization Licensing. § 131E-277. Direct or indirect sharing of substantial financial risk. § 131E-278. Applicability of other laws. § 131E-280. Applicants for license. § 131E-282. Issuance of license. § 131E-286. Ongoing financial standards – Net worth. § 131E-289. Minimum of net worth that must be in cash or cash equivalents. § 131E-291. Collaboration with local health departments. § 131E-294. Additional consumer protection and quality standards. § 131E-295. Powers of insurers and medical service corporations. § 131E-297. Hazardous financial condition. § 131E-298. Protection against insolvency. § 131E-299. Hold harmless agreements or special deposit. § 131E-300. Continuation of benefits. § 131E-303. Incurred but not reported claims. § 131E-304. Suspension or revocation of license. § 131E-307. Penalties and enforcement. § 131E-308. Statutory construction and relationship to other laws. § 131E-309. Filings and reports as public documents. § 131E-310. Confidentiality of medical information. § 131E-313. Utilization review and grievances.